Frank Schomburg, age-group 1960, is co-founder and managing partner of nextpractice GmbH in Bremen. After having studied computer science, he was active in various industrial companies as a project manager for production IT systems. In 1991, together with other partners, he founded a software development company. 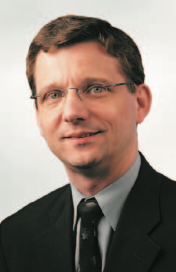 In an interdisciplinary team, comprised of computer scientists and psychologists, he and Prof. Dr. Peter Kruse developed the fundamental concepts of the nextpractice tools. Today, as a consultant, he develops concepts for deploying the methods in companies and supervises their implementation. The ability to master complexity and dynamics, to understand the psychology of change and to actively use this knowledge within an intelligent network framework, is communicated to management and employees.Precisely this interdisciplinary linking of information theory knowledge of structures with psychological system theories forms a well-founded basis for networking considerations, from the design stage up to evaluation. In the light of this background, Frank Schomburg offers impulse speeches as well as the conception, design and implementation of networked workshops with large group moderation. The Magic of Emotional Resonance. When the Tail Begins to Wag the Dog. Social networks are storming the ramparts of established professionalism. Experts are losing sovereignty over definitions of quality and value at a lightening rate. Power is shifting from supplier to demander.